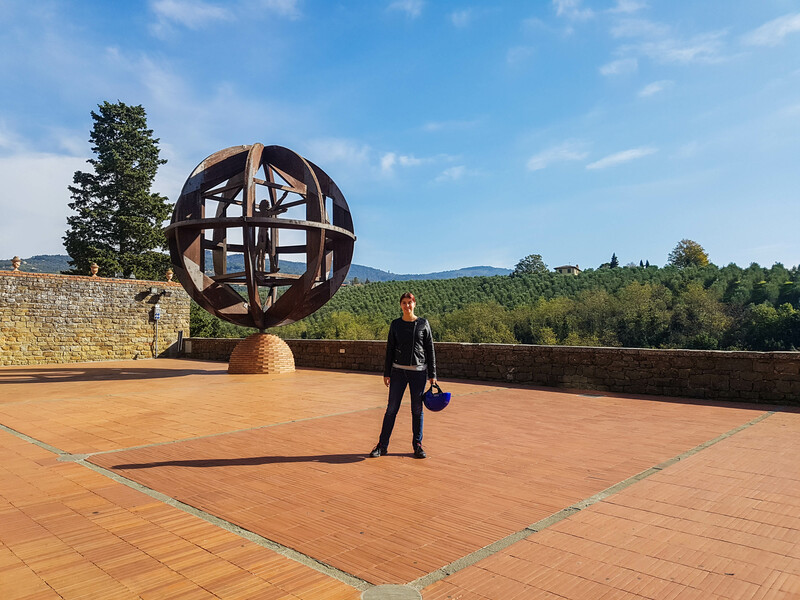 In the autumn of 2017 I paused my life for a month and moved to Italy, firstly to take a break and secondly to experience the Tuscany that I have only seen in movies. Whilst living there I took my time and slow travelled through Tuscany. I felt like a local when after a few visits to the local coffee shop, I didn’t need to order anymore as the waitress learned that I was always having latte macchiato so she would just bring it. 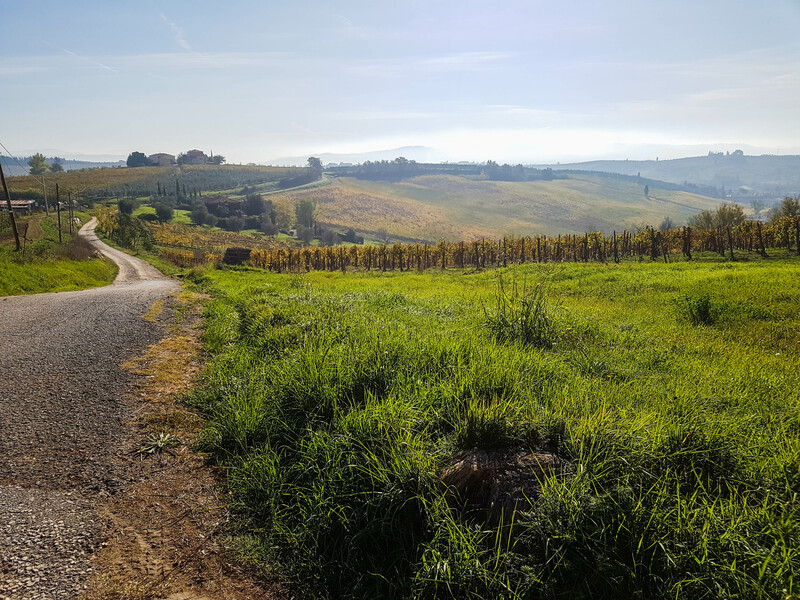 I drove my motorino on the smallest possible roads in Tuscany, getting lost just to discover more and more fantastic scenery, the must see towns, the wineries, hills and see the autumnal colors take over the landscape. I ate my way through Italy, and I discovered how flavoursome simple food is. And most of all, I experienced Tuscany off the beaten path! I have spent a month in Montelupo Fiorentino, loving every moment of it, from waking up at sunrise with nothing but the sound of birds to ending my day with a glass of wine, watching the sun set over the valley, from my top of the hill garden. I lived, loved, and breathed Italian for a whole month. I went every morning into town on my rented motorino and had coffee at Café Cento Fiori. I shopped at the local market. I walked around town and ate industrial quantities of gelato. I bought wine directly from the vineyard. I became a local. Montelupo Fiorentino is not a big town but it has an old and a newer part, where you can observe how it evolved through time. The old part of the city stands above Arne River, the same one that passes through Florence. Actually, the river separatse Montelupo from Capraia, another lovely town, and if there wasn’t as sign on the other side of the bridge, you wouldn’t know it’s not part of the same place. It’s a lovely town to go to for a day trip during your holiday in Italy, when you want to take a break from the crowds of tourists in Florence. Montelupo Fiorentino is famous for its ceramics, as in the past it used to be one of the most important pottery producers of the Renaissance era. Not only Italy, but the entire Europe was sourcing their ceramics from Montelupo. The first ceramics produced in Montelupo Fiorentino were dedicated to the Spanish-Moorish blue/green decoration goods, in the 13th century. By the end of the 15th century there were over 50 different pottery furnaces in town. The Ceramics Museum documents the pottery history of the town and has in its collection over 6,000 pieces, with only around 1,000 on display. When in Tuscany you have to go for at least one wine tasting at a local vineyard. 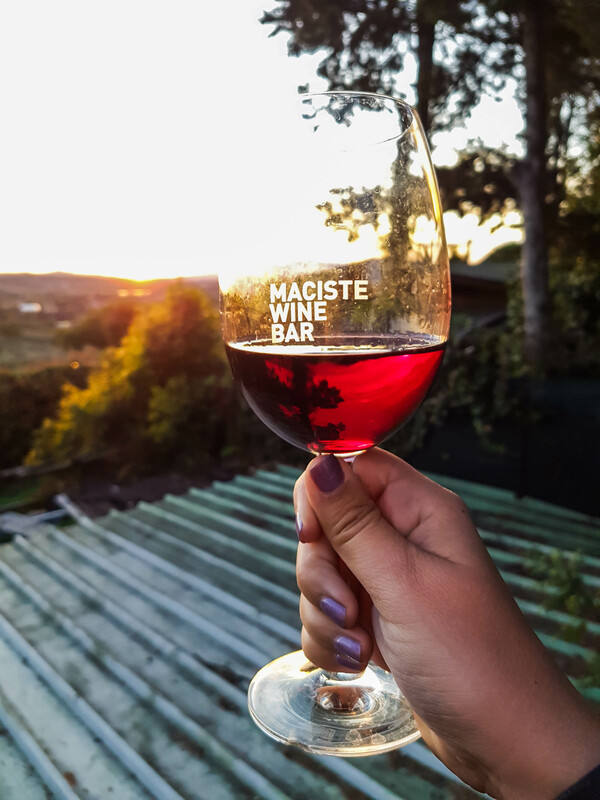 I drank so much locally produced wine and it was always so good, no matter what my choice was. It can be hard to find a local winery if you don’t know where they are (as none is on the main road). So, if you don’t have a local to show you around, check out this tour! 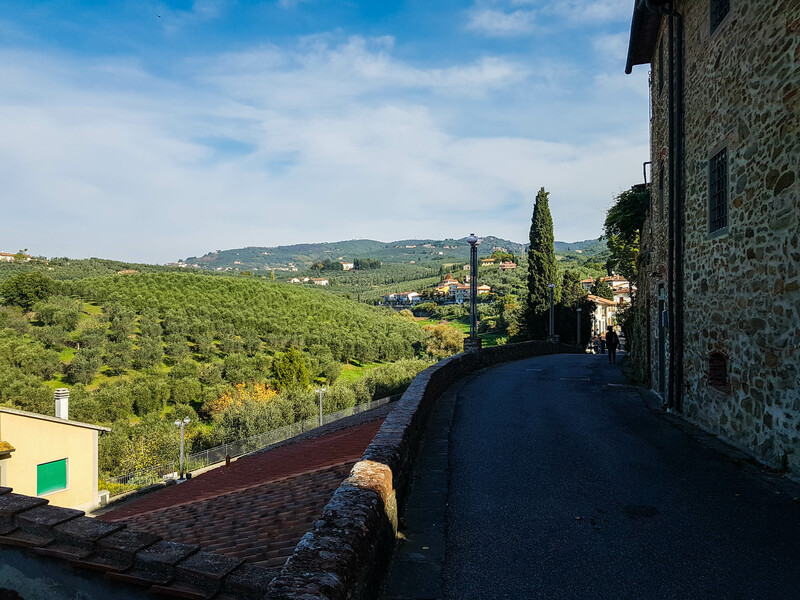 You will need to have your own rental car or book a taxi from Montelupo (as it’s 9 kilometres away), but for 10 euros you get to try the local olive oil and taste three different organic wines. You can check it out and book the experience here. The Archaeological Museum from Montelupo Fiorentino houses over 3,000 artefacts found all over Northern Italy, as a result of 30 years of research. The oldest items in the collection date from the 6th century BC and include bronzes and ceramics from the Etruscan settlement of Montereggi. You can’t miss this massive building which stands out above the rooftops of the new part of Montelupo. Located on the river Arne, Medici Villa of Ambrogiana was built in the 15th century and used as a workshop to create paintings of flora and fauna. Later, in the 19th century, it was converted into a mental illness asylum. Today it is used as a psychiatric hospital, but visits to certain parts of the villa can be pre-arranged. Cafe Cento Fiori was my local café and I can’t recommend it enough. I have been so many times here, in the morning to have my daily latte machiatto and cake, at lunchtime to have menu del giorno and in the evenings to have aperitivo. It was always delicious. Every day at lunchtime they have a different menu, based on what local ingredients the chef got from the market that day. 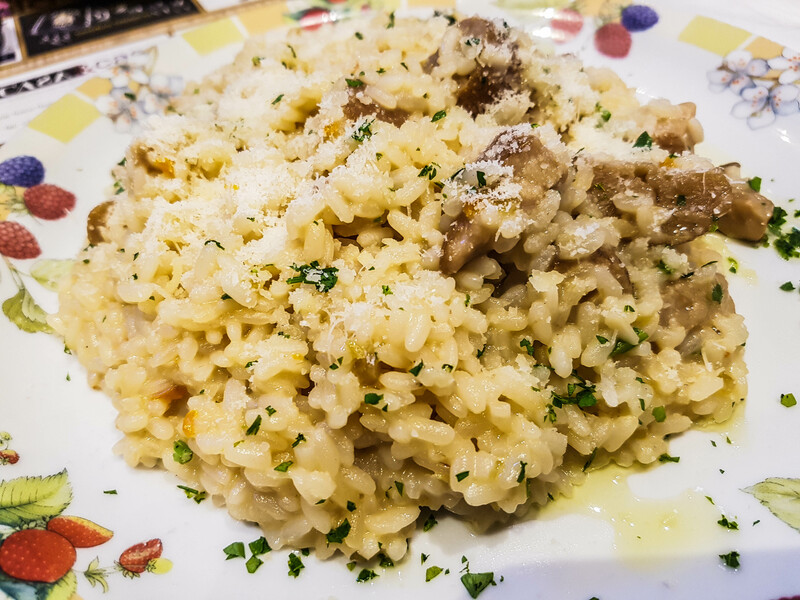 I’ve had here the best mushroom risotto in my life! In the evening there’s the aperitivo time! You pay for one drink and enjoy as many finger foods as you’d like for free, for 2 hours. Locanda del Moro doesn’t have a menu. They cook whatever the chef buys from the market that day. Ask the waitress to prepare you an appetiser platter and you will be amazed on the amount of food you will get and also by the diversity of the dishes. Here is where I had my first (and last until now) Bisteca Fiorentina. It was sooo good! But also sooo expensive! Osteria Livornese is a fabulous fish restaurant but much more expensive than the others in the area. Cheaper than Florence though. If you come at lunchtime you can enjoy their 3 course “workers lunch” for 18 euros, which includes a large selection of dishes you can choose from. 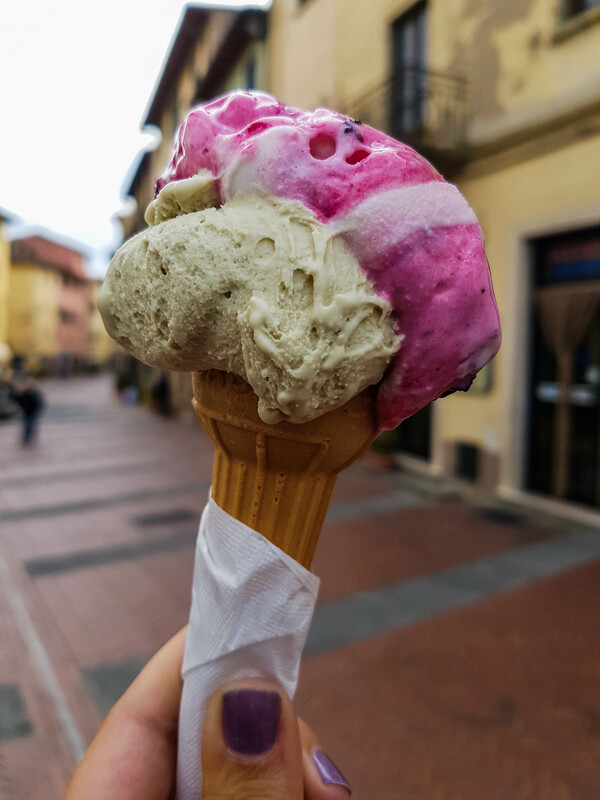 This is the place to go for gelato in Montelupo Fiorentino. It’s one of the best I’ve had in Italy. I can recommend their pistachio and amarena combination – my all times favourite! The most central hotel in Montelupo, Granducato is located right in the main square of the town, close to the local market, the supermarket and the railway station. It is a new hotel, quite modern, decorated in an Italian style. They serve breakfast on the outdoors patio. You can check the reviews of Hotel Granducato on TripAdvisor and check the latest rates on Booking.com by clicking here. If you are traveling with your family then this holiday home is a perfect choice for your stay in Montelupo Fiorentino. The one bedroom apartment can host a family of three and extra beds can be added for children. The house is decorated with beautiful local pottery and some pieces of vintage furniture. The apartment also features a lovely garden where you can relax and enjoy a glass of wine. You can check the reviews of Le Piagge Holiday Home on TripAdvisor and check the latest rates on Booking.com by clicking here. This B&B is located in a very quiet part of the town, perfect if you just want to enjoy the views and nature of Tuscany. The guests have access to the garden and also to a BBQ. The rooms have large double beds and balconies with a view. You can check the reviews of Sweet Emily B&B on TripAdvisor and check the latest rates on Booking.com by clicking here. I remember first seeing Certaldo from the train, when I was returning from a day trip to Siena. I remember looking up and thinking “wow, what a fascinating looking little place!”. 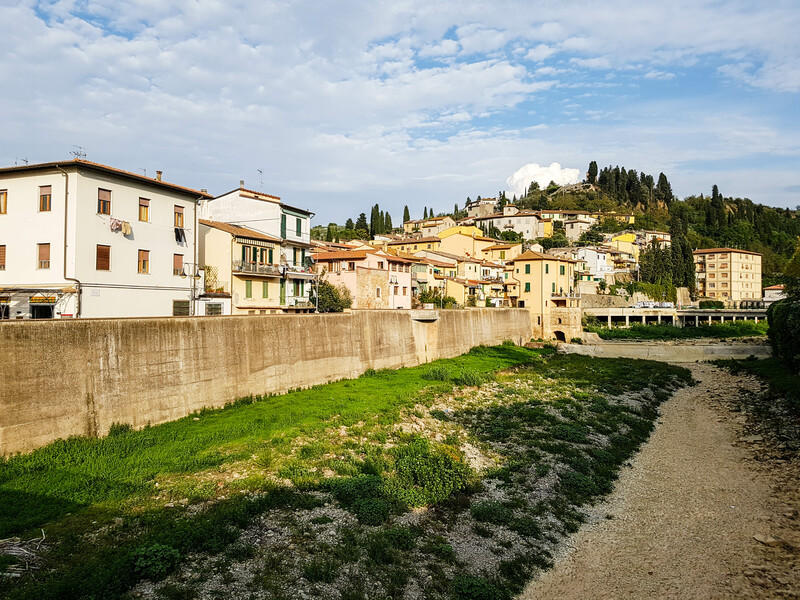 The town is split into two: the lower part (Certaldo Basso) and the upper part (Certaldo Alto) which looks like a medieval fortress, on top of a hill. 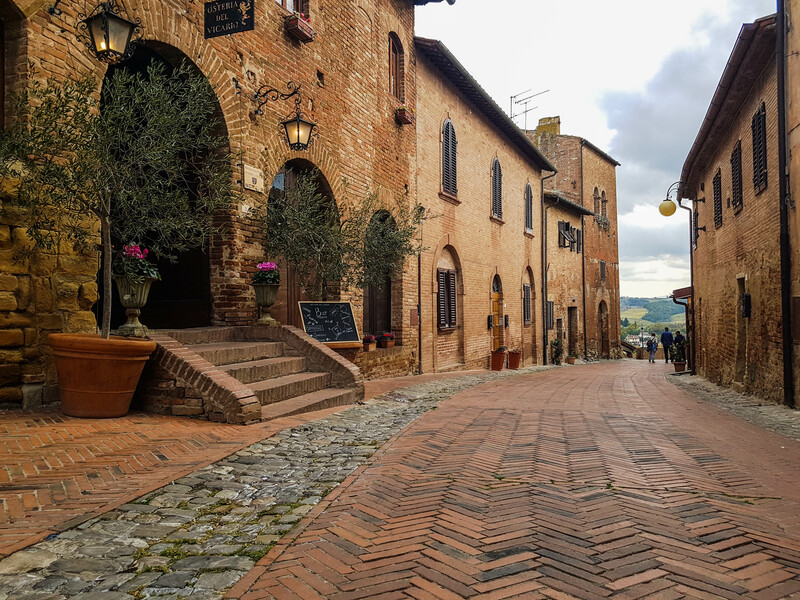 A week later, I included a stop to Certaldo on my way back from San Gimignano. I discovered that for such a small town, there are plenty to see in Certaldo. Certaldo is easy accessible by train, on the Florence to Siena route. If you choose to drive to here, there is a large parking lot just in front of the funicular that goes up to the Certaldo Alto. There is a fee for cars but for motorbikes parking is free (I travelled to Certaldo by motorbike). 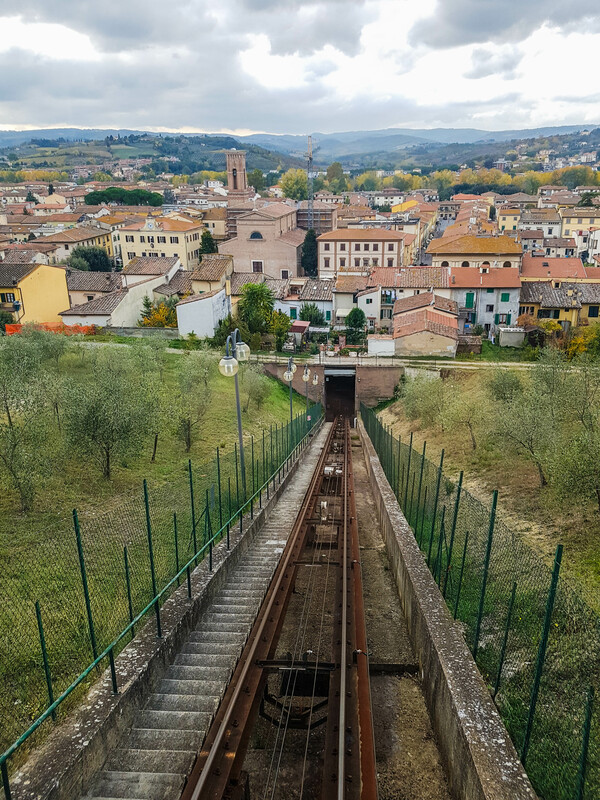 To get to Certaldo Alto you can either hike or take the funicular, which costs 3 euros for a return journey. You can find here the timetable, as it changes depending on the season. There is nothing modern in Cetaldo Alto, which makes strolling around town a walk back in time, through medieval walls and 13th century palazzos. Needless to say, there are no cars in Certaldo, so the atmosphere is even more authentic. I arrived in Certaldo on a warm autumn afternoon and there were almost no other people around, except for some locals enjoying a drink at the local eateries. The first thing I saw as I stepped onto the main street of the town, Via Boccaccio, was Palazzo Pretorio, an old castle dating from the 12th century. As the walls of the city open to the right hand side of the town, I could see clearly the towers of San Gimignano, another beautiful (but extremely touristic) Tuscan gem. At the end of Via Boccaccio stands tall Palazzo Pretorio, once the home of Conti Alberti and later the residence of the vicars in power. The palace is built from red bricks and it is decorated with stone and marble coats of arms that commemorate the vicars sent from Florence. During 3 centuries there were over 700 different vicars who lived in Palazzo Pretorio! The old town’s prison used to be here as well. Today the Palace is a museum where you can admire original frescoes, Etruscan artefacts, the chapel and old rooms where vicars used to live. On the ground floor there are hosted different exhibitions, conferences and theatre performances throughout the year. The clock on the palace’s tower was added in 1484 and it’s still working today. Giovanni Boccaccio was an Italian poet and writer, famous for the “The Decameron”, a masterpiece of the classical Italian prose. He lived his last years in a small palazzo, in Certaldo, which has now been transformed into a museum and can be visited. Unfortunately, only a few remains of the original house are still standing up today, as the house has been completely restored after being bombed in the Second World War. Inside the house you can see rare editions of Bocaccio’s work displayed at the ground floor and a large library on the top floor. The house also features a tower that can be visited and from where you can get a beautiful aerial view over the town and the Val d’Elsa valley. It probably sounds a bit peculiar, but there is a nail museum in Certaldo. The collection includes nails of all shapes and forms, from every era. You can also see here different utensils used by peasants in the past and also some wooden sculptures. The museum is an homage to the artisan tradition around Val d’Elsa, and the importance of the nail in the evolution of different trades and works. Boccacio has died in his home from Certaldo and was buried in the 13th century SS. Jacobo and Filippo church. Built in the Romanesque style, this brick church is part of a convent complex with the Museum of Sacred Arts on one side. Inside the church there is a large wooden crucifix and a fresco of the “Virgin and Child between Saint James and Peter” painted by Memmo di Filippuccino in the 13th century. You can easily notice the cenotaph of Boccaccio, with its bust holding the Decameron, carved in stone, above it. The actual tomb of Boccaccio is on the floor and it’s marked by a marble slab. The Museum of Sacred Arts has in its collection paintings as old as the 13th Century. The religious works of art displayed here are not only paintings but also sculptures, fabrics and silver work, gathered from around the county and made by local artists. The museum’s “masterpiece” is a 13th century wooden sculpture depicting Jesus Christ on the cross, with tiny images of him raising from the grave and defeating death, surrounding it. I stumbled upon the archery headquarters by chance, as I was walking around the tiny streets of Certaldo. I’ve seen an open door and some stairs leading down into a basement and I just climbed down. Inside I could see armours, swords, bows, shields, and all sorts of other medieval weapons. It is small but definitely worth a visit. Even if it’s a small town, Certaldo has some interesting festivals throughout the year. The ones that I would recommend going to are Dinner with Mr. Boccaccio (in June), Mercantia (in July) and Boccacesca (In October). 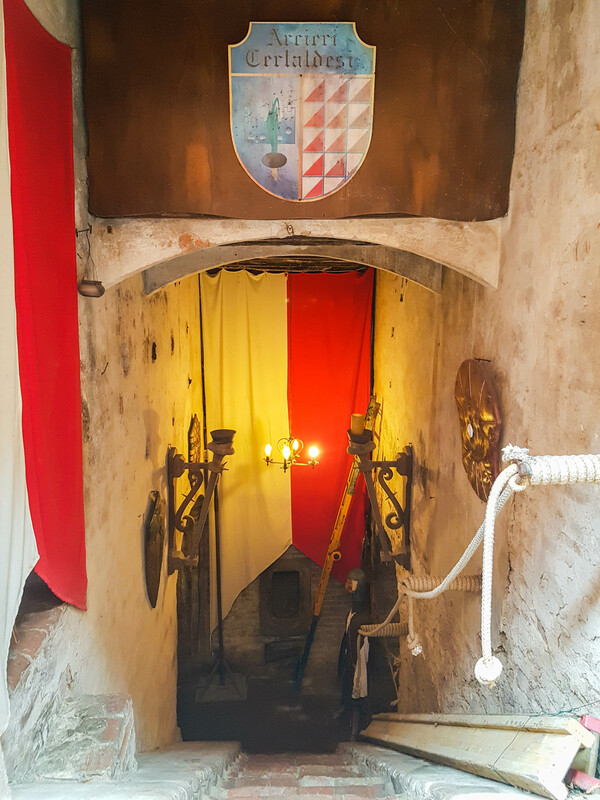 Dinner with Mr. Boccaccio is a fun event where one street from Certaldo Alto transforms into an outdoors medieval dining room, with wooden cutlery, earthenware dishes, and a typical Medieval menu. The waiters are all dressed up in Medieval clothes and during the dinner theatre performances take place among the tables. The night finishes with a grandiose fireworks display. If you want to take part in this medieval dinner you need to book your ticket in advance (which this year costs 39 euros per person). Another fantastic festival in Certaldo is Mercantia, where people from all over the world gather around the streets of the city to perform theatre. The small village transforms during the 4 festival days into a magic colourful kingdom where everyone is a character and wears a costume. Boccaccesca is a celebration of flavour, a festival that highlights the local ingredients in Certaldo: the red onion, the white truffle and the extra virgin olive oil. The festival’s agenda includes a local market open daily, wine tastings, cooking competitions and lessons, as well as new cook book releases. A family business, A Casa Tua is a tiny restaurant with only about a dozen tables. Outside, the tables are set against a brick wall decorated with flowers whilst inside you feel that you are in an old Tuscan cellar, beautifully decorated with antique cooking utensils. In fact, the tables are old desks. The food is simple but full of flavour, and it is served in odd dishes, such as pots and pans. 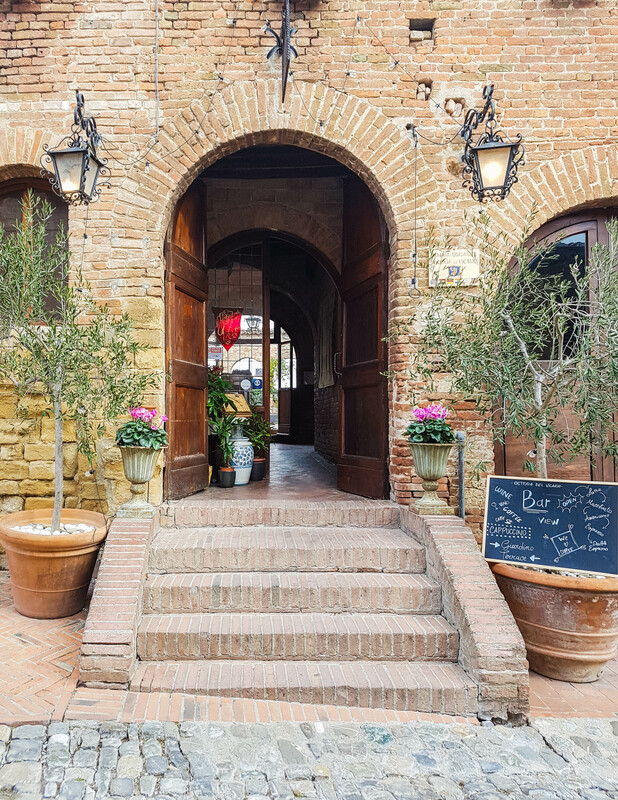 Another great restaurant located on the main street in Certaldo Alto, where you can sit down and enjoy the people passing by, is Enoteca Boccaccio. They serve great meat and cheese platers that are accompanied by wine by the glass. It’s a restaurant where locals like to come, so if you stop by don’t be shy and have a chat to learn more about the life in Certaldo. This is a very popular place and you will see a lot of people having dinner in this small osteria, on the main road of Certaldo. And with such a beautiful view of Palazzo Pretorio and delicious local Tuscan food, no wonder! Their motto is “La Toscana nel piatto e nel bicchiere”, which means Tuscany on the plate and in the glass. 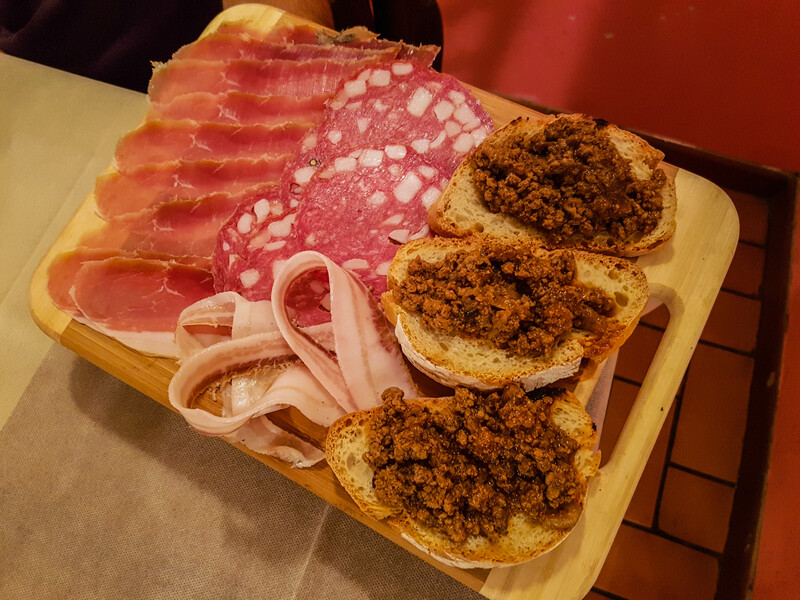 Their menu is not extensive, but it has dishes full of flavour such as the traditional ribollita (a Tuscan hearty bread soup), fresh “pici” pasta (a thicker version of spaghetti) and wild boar mortadella with lentils. There are not many hotels in Certaldo, so if you decide to spend a few nights here, make sure you book in advance. One of the loveliest guesthouse in Certaldo is Antica Torre del Borgo, located in a medieval building, with wood-beamed ceilings and exposed brick walls, just next to Palazzo Pretorio. The views from the windows, over the valley, are stunning. Just as you would expect to see on a postcard from Tuscany! You can check the reviews of Antica Torre del Borgo on TripAdvisor and check the latest rates on Booking.com by clicking here. Another beautiful place to stay in Certaldo is the Il Giglio Holiday Home, a perfect choice for a larger family with children. This 2 bedrooms apartment features a lovely rustic décor, with exposed wooden beams and ceramic decorations. The apartment is very spacious and bright, and can host comfortably up to 5 people. You can check the reviews of Il Giglio on Tripadvisor and check the latest rates on Booking.com by clicking here. Osteria del Vicario is another medieval B&B that has a restaurant with a gorgeous garden attached to it. I treated myself here with a lovely glass of prosecco whilst admiring the beautiful autumn colours over the nearby vineyards. You can check the reviews of Osteria del Vicario on Tripadvisor and check the latest rates on Booking.com by clicking here. 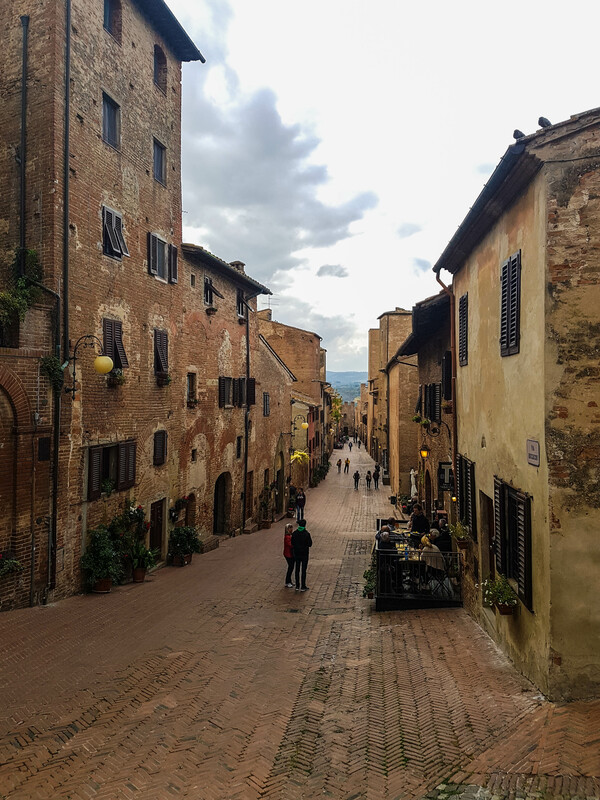 If you only have one day to explore some beautiful villages of Tuscany including Certaldo, check out this private tour from Florence. Not many people visit Vinci, the birth place of Leonardo da Vinci. I didn’t even know about it until I moved to Italy. Vinci was my first long trip around Tuscany on my motorbike, and it has a very special place in my heart because of it. Situated in the hills of Montalbano, the best way to reach Vinci is by car or motorbike. You can rent a car from Florence (check out the best deals here) and drive through the wonderful rolling hills covered with vineyards of Tuscany. Forget the motorway and drive on the local tiny roads that make traveling through Tuscany so spectacular. Just outside Vinci there is a very large parking lot where you can leave your car for free. Don’t get into town with the car as the streets are really narrow, many are one way only, and it’s very hard to manoeuvre the car on them. If you don’t want to rent a car, you can always take a private tour from Florence. Check out this tour that includes lunch in a traditional Tuscan house or this one which includes a visit to a winery and a Chianti Montalbano wine tasting as well. The later is a perfect choice if you are traveling with friends, as the fee is per group of 3 people and not per person. You can also travel by public transport to Vinci, by taking the local train from Florence to Empoli and then the bus number 49 from the train station to Vinci. Here is the timetable for the bus. 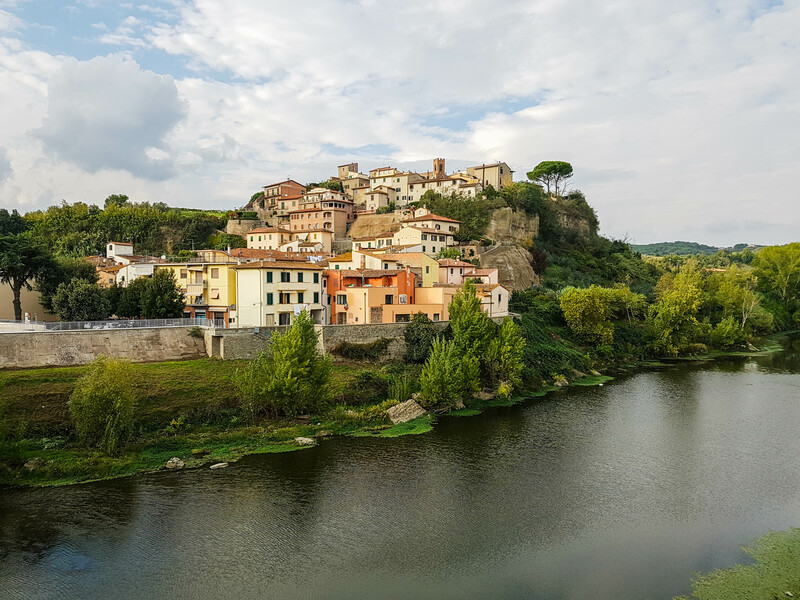 Vinci is a lovely small town which you can easily explore by foot. There are plenty of little shops and cafes where you can buy locally made products or have a coffee whilst watching people passing by. If you travel to Vinci in autumn, look for the castagnaccio cake, a typical Tuscan dessert made out of chestnuts, olive oil, pine nuts and raisins. It’s so good, especially when you buy it from a small shop where they bake them in house. 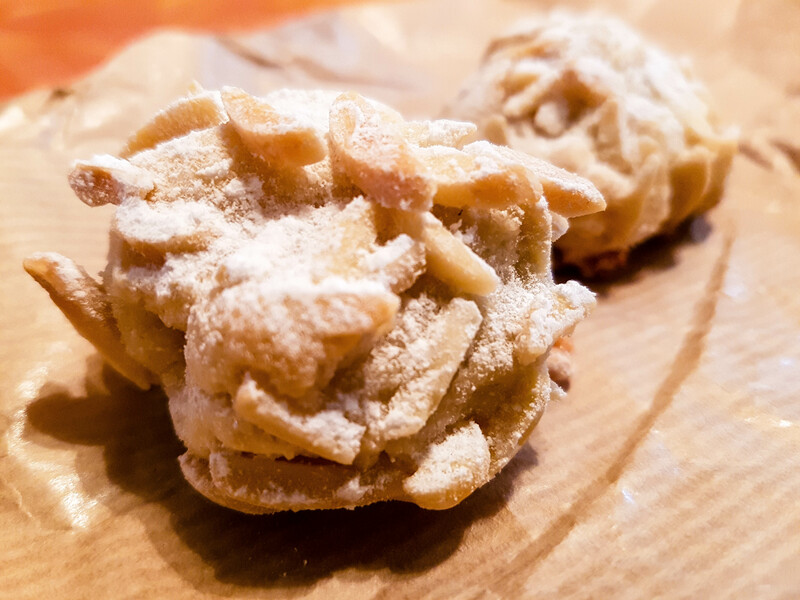 I bought these delicious Italian almond cookies filled with confit cherries from a tiny shop in Vinci. What a delight they were! 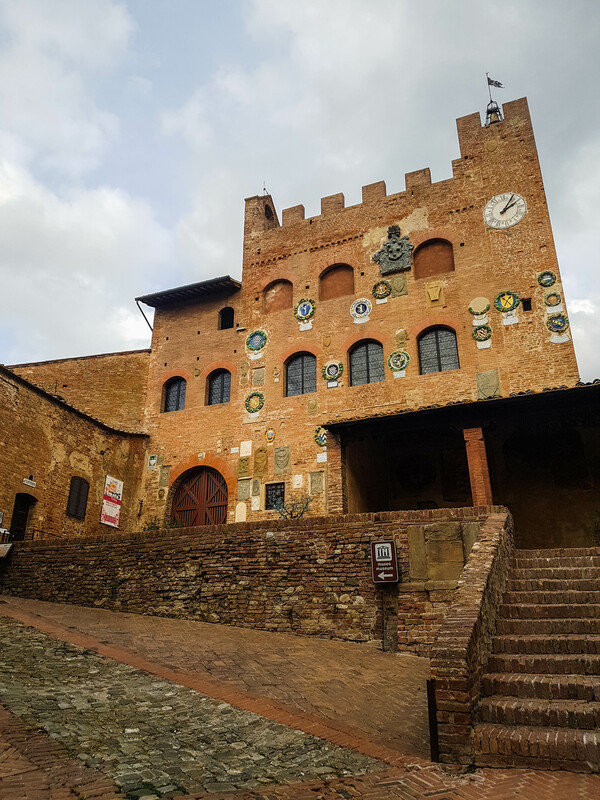 Museo Leonardiano is hosted by the Castello dei Conti Guidi, a 12th century castle in the historic centre of Vinci. The museum displays works of the Leonardo man of science and architect. You will find here machinery and textile manufacturing technology designed by Leonardo, as well as war machines and mechanical clocks. There is a section dedicated to the works of Leonardo in anatomy together with his studies on flight and aerodynamics. You can see all the current exhibitions here. You can spend hours visiting the museum. To make your visit for insightful, you can download the museum’s app guide or rent an audio guide from the ticket office for 2 euros. The entrance to the Leonardo da Vinci Museum costs 11 euros for adults and 6 euros for children between 6 and 14 years old. There are special rates for families You can check out the opening times of the museum here. Located 3 kilometres outside Vinci, this modest farmhouse is where Leonardo da Vinci was born. Today, the house has been converted into a museum where some of Leonardo’s paintings and drawings are displayed. You can either drive or take the lovely path surrounded by olive trees from Vinci to Leonardo’s birth place. Whilst you can get to know Leonardo’s work in the museum, the birth house is designed to know the artists as the man he was and the roots he had in Vinci. As you enter the house, a life-size hologram of Leonardo welcomes you and tells you about his life and love for his birth place. For a fantastic Tuscan countryside dining experience head over to La Burra di Vinci, a restaurant inside a restored 500 years old house on the outskirts of Vinci. They have a fixed four course menu, based on the seasonal ingredients available. The food is always outstanding and the portions are large. This small restaurant is just outside the walls of Leonardo da Vinci Museum and specialises in homemade Tuscan dishes. From the street you might think this might be a take-away place but as you step inside and go down the stairs the space opens into a rustic decorated place, with a patio overlooking the hills, in the back. 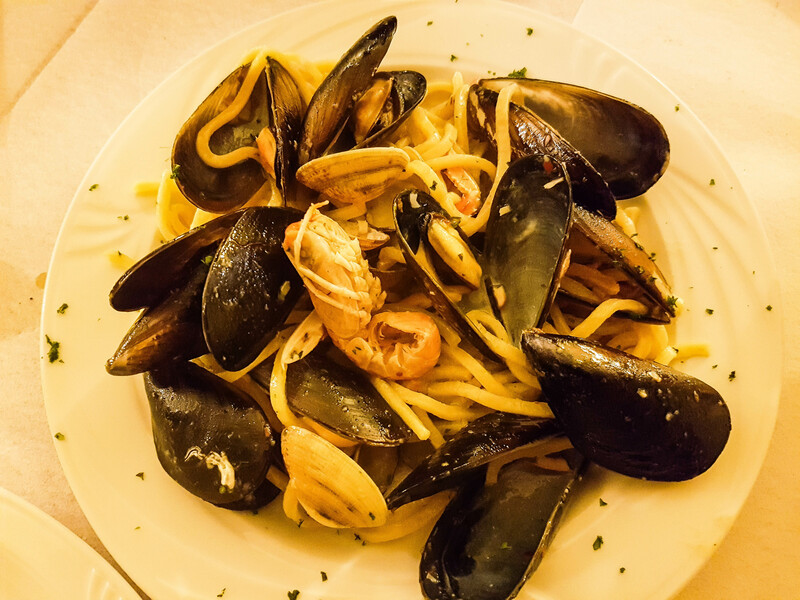 This restaurant specialises in fish and seafood Tuscan cuisine, serving dishes such as salmon and tuna carpaccio, seafood champagne risotto or clams spaghetti. They don’t have a large menu, but all the food is delicious. This central located B&B offers modern rooms and a great Italian selection at breakfast every morning. The rooms are spotless clean, large, and bright. The B&B has a nice terrace that the guests can use.You can check the reviews of Il Fiore di Monnalisa B&B on Tripadvisor and check the latest rates on Booking.com by clicking here. For a family with children, this one bedroom apartment that sleeps four people is a great accommodation choice especially because of its location, just outside the Leonardo Da Vinci Museum. This apartment is not very large, but it is functional, with a modern kitchen and a nice small garden. It is a great value for money when you are traveling with children. You can check the reviews of Leonardo da Vinci apartment on Tripadvisor and check the latest rates on Booking.com by clicking here. A great way to explore the Italian countryside and the local way of life is to stay in an Agroturismo, which is a rural farm stay. This property is outside the town of Vinci, in the valley nearby, surrounded by olive trees and vineyards, and has an outdoor pool. The rooms are large and beautifully rustic decorated, some having kitchens and balconies where you can enjoy a glass of wine in the evening. The farm also has a restaurant where they serve local Tuscan dishes cooked with ingredients grown in their gardens. They even make their own olive oil. You can check the reviews of Agriturismo Il Piastrino on Tripadvisor and check the latest rates on Booking.com by clicking here. Have you been to any of these off the beaten path Tuscan towns? Do you know other non touristy places to visit in Tuscany? Disclaimer: This post has been written in collaboration with Exodus. The Ceramic museum would be my favorite spot! And also go for wine tasting; I’ve always loved seeping fine wine right from the vineyards. I LOVE that these towns are not bustling with tourists. I love seeing the real spirit of a country when I travel, not what they’ve made to attract foreign visitors. Oh my gosh, I need to go here one day. All your food pictures have made me drool. I won’t lie, the food would be my favorite part about Italy. I love this blog post, but it makes my heart ache! I have to get back to Italy ASAP! So beautiful I love how the streets look. I have also only seen Tuscany in the movies so can’t wait to visit one day. These towns are the perfect walking spots. I love the brick roads and all the food. You killed me with this post! The food, the scenery, the gorgeous places. I’ve been to Tuscany and can’t wait to go back. Oh wow, how beautiful! Tuscany is on my bucket list of places to travel to, thanks for sharing these, if I ever make it there I will make sure to visit some of these great places. The pottery museum looks so beautiful, that’s right up my alley. I really loved reading through your post. Italy has been on my bucket list. Will add Tuscany to visit as a must now. It is my absolute travel fantasy to be able to leave typical life behind and just live in and experience another life in another country for a month. I’ve usually only been able to travel for a week or two but never feel like that’s long enough to really sink your teeth into a new culture! As someone who really wants to see Tuscany, I really loved this post. Besides which I am also a big fan of getting well off the beaten path wherever possible. The more unspoiled a place is, the more you can get a real feel for the location and a more genuine connection you can make with the locals. Each of these towns you have featured here look and sound really wonderful. I also love your photography as well. I hope to be able to share a similar experience one day. This is my kind of post. I am a huge lover of Italy, and I have spent some very happy months there. I am returning in October, so I will be keeping your recommendations in mind! I’m from Italy and it makes me so happy to see that you enjoyed your trip. Tuscany is one of the prettiest regions in my opinion. It looks like Italy is back on my list again. I have been there twice and visited Rome and Milan so I guess it is time to go again. I was just about to pack my bags to catch the next flight but I decided to wait and make a plan. Sigh…this looks divine. I would love to go to Tuscany and your photos have given me a serious case of wander lust. Tuscany has been on my bucket list. It’s a dream summer destination of mine! The food from Cafe Cento Fiori looks amazingg! and that gelato! The quality of your photos are so good. Great post! I have been wanting to travel to Tuscany. It looks so beautiful, and I love the idea of visiting places that are off the beaten path and less tourist driven! Tuscany has been on my travel list for quite long! Thanks for putting together such a nice article. I will definitely use this information for planning my trip there. Wow! Amazing place and you have nicely captured it, seems that you have enjoyed a lot. Wish I could be there. Thanks a lot for sharing your experience. 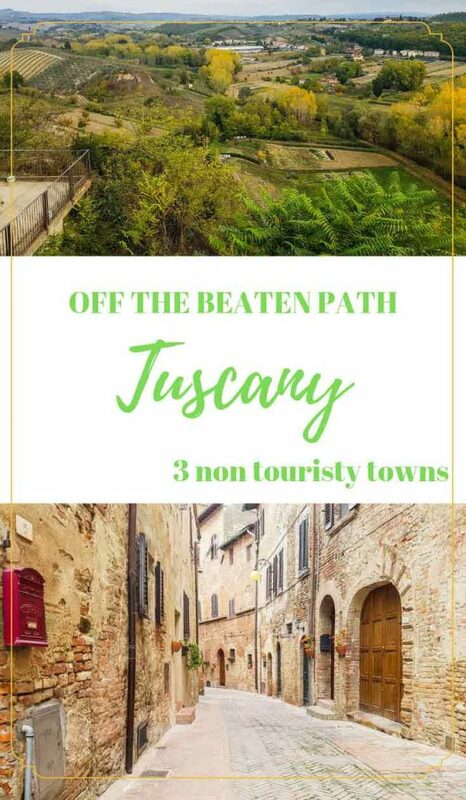 This is such a great guide – I do love to visit the less touristy places when travelling and these three towns all sound like my kind of place. I’d definitely visit the museums, I always make sure to visit a museum when away as I find they are the hub of all information. 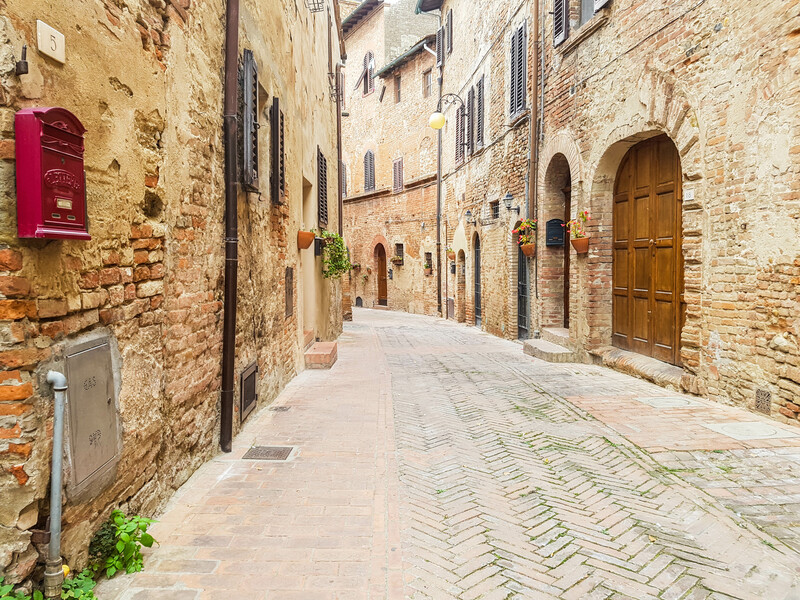 The medieval town Certaldo would be truly fascinating to see. 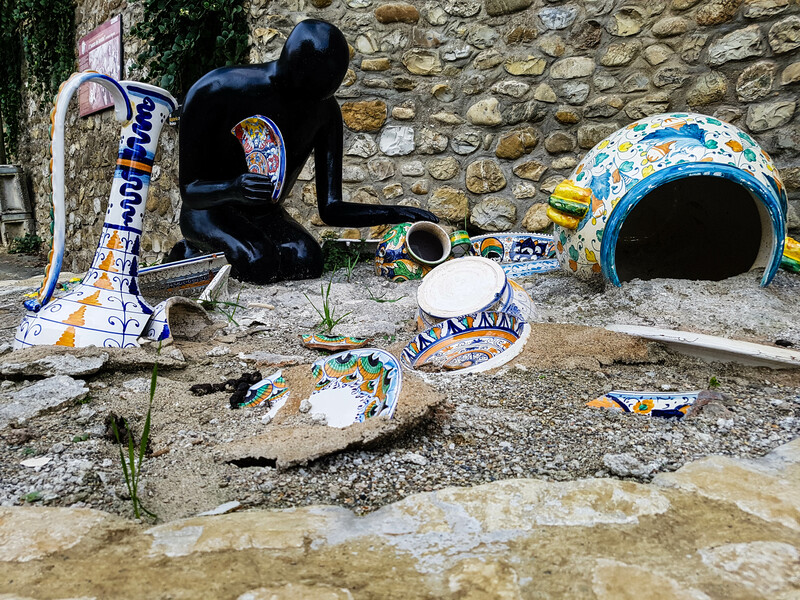 The ceramic museum in Montelupo Fiorentino would be very interesting too. Maybe I’ll have to plan a trip and visit both places! I would love to visits Tuscany. Drink some of their wine and look at the beautiful views. So beautiful so much to explore. This is definitely on my bucket list. I really appreciate this post because I love to know about the non-touristy areas when I travel! That Gelato looks really appetizing and yummy. We love ice cream so much. That wine tasting sounds really fun! Thanks for those tips. I have never been to Tuscany and I am so amazed with all those beautiful spots and views that they can offer to all travelers that visited to their place and aside from that the food looks really good and tasty! This is what I love – thank you for taking us along the back country with you to give insight on what to do while there! I will be there in 2020 and love all the pointers you provided! Stunning! I love all of the architectural details everywhere, and the countryside is just beautiful. It looks so beautiful and I love the idea of visiting this kind of places. My guys business partner is from Certaldo, Tuscany. Last time I was there she gave me an awesome trip around the place. Italy itself is a beautiful country. What an information-packed post Joanna! Even more than that, I just love your writing style, really drawing the reader in and making them want to move to Tuscany too ha ha! I’m fortunate enough to live just south of Italy and it’s so cheap for us to fly there so I’ve bookmarked this for future reference. Have done Italy more than any other country but my only experience of Tuscany wasn’t quite like yours as I had a 1 year old with me! Italy is number one on my bucket list of places to visit. I would love to see all the art history and taste all the yummy food. Your pictures are so dreamy! This looks so beautiful! Italy has been on my list for years and I am visiting a few places this summer. You’ve given me more to look forward to thanks! I will be in Italy this summer! I’m super excited! I will have to visit Tuscany if I can. The wine looks amazing! Tuscany is one of the cities that I would love to visit but I didn’t know they do olive oil tasting! That is so interesting. OMG all of these pictures are breathtaking! Gorgeous places to visit in any case I would like an escape. Thank you for sharing. This article is right up my ally and is exactly how I love to travel. I definitely prefer the more “local” towns and not so touristy areas. Amazing photos as well. Tuscany looks like a beautiful place to visit and your pictures are gorgeous. I would love to visit these off the beaten path hot spots, sip some wine and enjoy the fresh air! Looks perfect! These towns are so beautiful! I’m studying abroad in Italy next year and I’m DEFINITELY going to be checking these towns out! It really looks amazing there! I wish I could visit one day! The museum and the medieval style town looks and sounds so interesting. You are lucky to be living out in such a beautiful country.